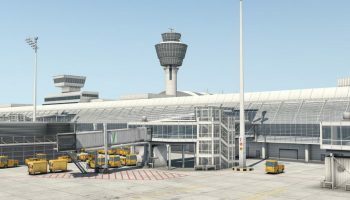 To follow the plethora of teasers we’ve been gazing at anticipating its release, over on their Facebook page, ShortFinal Design has released more previews of their upcoming Munich (EDDM) for X-Plane 11. In addition, they’ve included some previews teasing their next project. A high-quality rendition of Munich Intl. Airport is something that many X-Plane simmers have been longing. Being the dominant hub that it is, with over 100 operating airlines and over 220 destinations, it is a prevalent spot for most simmers. The below screenshots preview Short Final Design’s next upcoming project. We don’t at all know what it could be at this point but from the previews, it looks like it definitely must be situated in America. 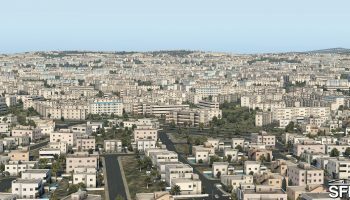 Furthermore, it is mentioned that a release of Munich is supposed to be within the next two weeks and is expected to come out for sale on both simMarket and the X-Plane.org store. A price has not yet been revealed. We’ll endeavour to keep you up-to-date on the latest and let you know once this scenery has been released. Accurately modelled terminals with full PBR materials. Custom Mesh and fully modelled taxiway bridges, optional Ortho4XP patch file.